Injury Prevention - Why warm up and cool down? 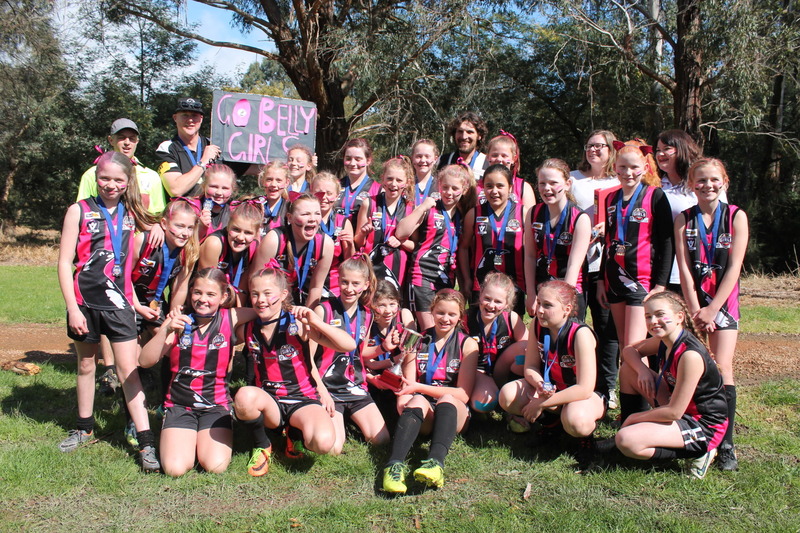 Belgrave Junior Football Club is a family oriented club that prides itself on developing young players with a focus on mateship, fair play and fun! Testament to this is the fact that the club won the Dorothy Moxham Shield for BEST CONDUCTED CLUB FOR 3 YEARS IN A ROW in the Outer Eastern AFL League's annual awards. Also, in 2017 Belgrave had no less than 3 teams win Best Conducted Team for their respective age groups - Under-11 Boys, Under-12 Girls and Under-12 Boys. In addition, in 2016 our under-12 Boys team was named the Best Conducted Team. On top of that, our girls' team's coach, Andrea (Andy) McGuinness, was named the Female Coach of the Year. In 2019 the club is aiming to field the following teams, although we are always hopeful for more, so please get in touch if your child is interested in joining the club. This will assist us greatly in our planning for next season. Girls Under 10, Under 12 (possibly 2 teams), Under 14 and Under 16. Games take place on Sundays, while training takes place on Wednesday evenings. It will be great to see the level of game-day excitement and enthusiasm with this number of teams in action. The inclusion of even more all-girls teams will build on the exciting debut of our first all-girls team in 2016, the first such team in our local area. Belgrave JFC is proud to be part of such a positive move and believe we provide a great environment for girls wanting to play Aussie Rules. Club registration fees for 2019 are $160 for one player, or $290 for two players from the same family, or $390 for three or more players from the same family. 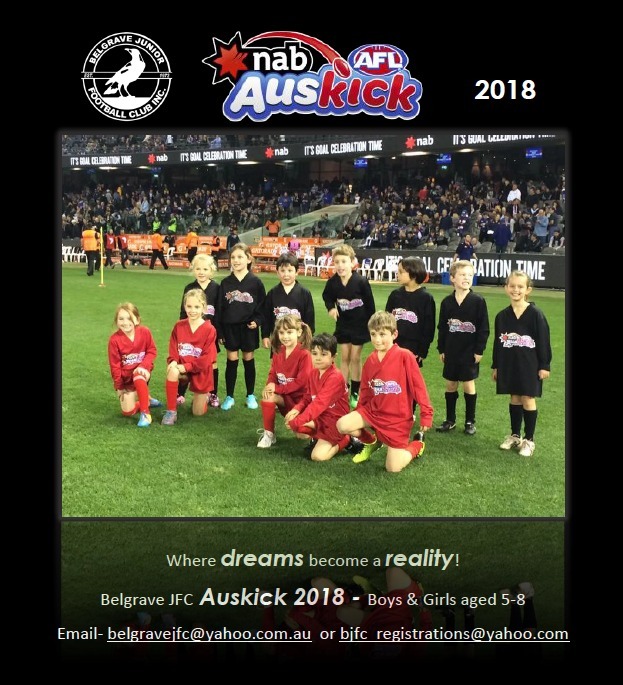 Belgrave Auskick is on every Friday @ 5:30pm at the footy ground. More info HERE. 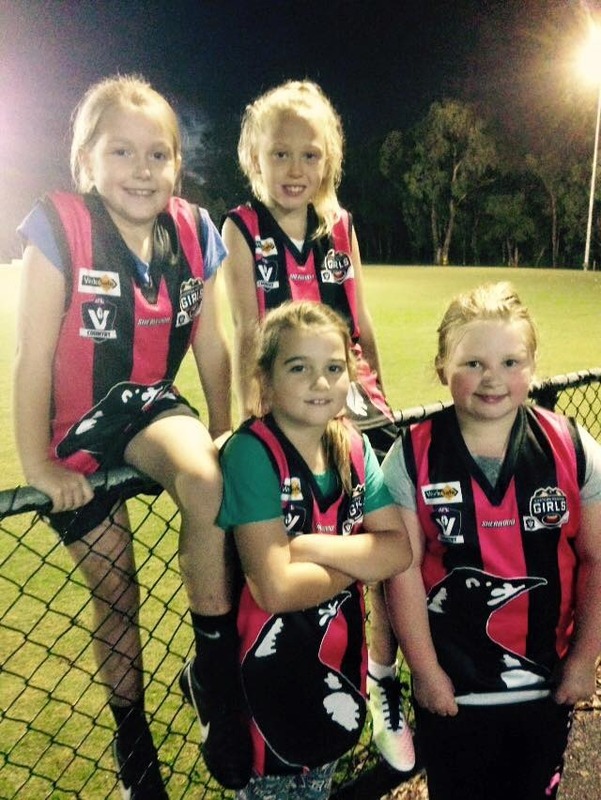 Auskick proved very popular last year with over 30 young budding AFL stars churning the ground every Friday with the majority being girls. Great to see. Please get in touch - or just ask on the day - if you're able to assist. Any help is much appreciated. Our footy ground - affectionately dubbed "the Bellydome" - is in Reserve Road, Belgrave (same road as the Belgrave Swimming Pool but at the western end). 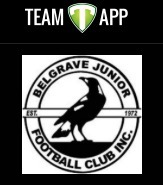 Get the Team App so you get the latest news and notifications from Belgrave JFC direct to your phone. Download the TEAM APP to get all of the latest Belly JFC news and notifications as well as general club info direct to your phone.